1. You can instantly see all CAD files in your Revit project or family. These include DWGs as well as any other CAD file types Revit accepts such as DXFs, DGNs, SKPs or SATs. Each file will show if it is linked or imported, independent or view-specific. View-specific CAD files will show if they are still visible in their host views. If not, you know what to do! 2. You can instantly select & show each CAD file in its host view, delete it, or list all views & sheets where that file is visible. The app can then instantly open each of these views & sheets and zoom to the CAD file in question for you. 4. You can delete object styles resulted from someone exploding a CAD file in Revit. This will help reduce the negative impact of exploded DWGs on your model performance. These can be easily spotted in our report as their names follow the format [Original CAD file name]. [CAD layer name]. Licensing options: You can use this app on either a monthly subscription or a one-month licence. For the latter, simply subscribe to the default monthly payment plan, install the app, and then immediately cancel your subscription. The app will then remain functional for 1 calendar month, at which point you can extend the subscription for another month by opting in & then opting out again. You can repeat this process as many times as you like. Need even more information or features? Tell us at enquiry@rv-boost.com. 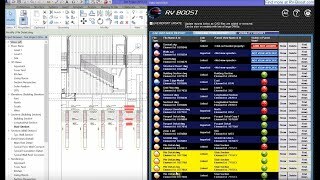 Also, check out http://rv-boost.com/ for more Revit apps, families & tutorials to beautify your BIM! It interacts well with Revit like the Dynamo window does. Never before did I have such a comprehensive real time DWG report side-by-side to my model! Saved many expensive hours I would have spent hunting down these dwg files manually. It's a real steal! The app helped complete a model purge of DWGs in minutes instead of hours like before. Works well on all my Revit models & even families. Highly effective! The live update toggle really helps minimise disruptions when purging dwgs from my huge Revit files. Any similar app to purge DWGs from families? Nicely complements the core program's functionality. Direct access to dwg types is a big help. My mate recommended this and it works great. 1 of my models gave a strange warning but the developer quickly helped resolve this & update the app. Nice job! Glad that someone made this. File names are a bit big on my screen though, otherwise 5 stars. I've been looking all over for a DWG management app for Revit and this one so far gives the best return on investment. No extra features I don't need. No double- or even triple-figure charges. Does everything it says on the tin for the price of a good coffee. Well done guys.